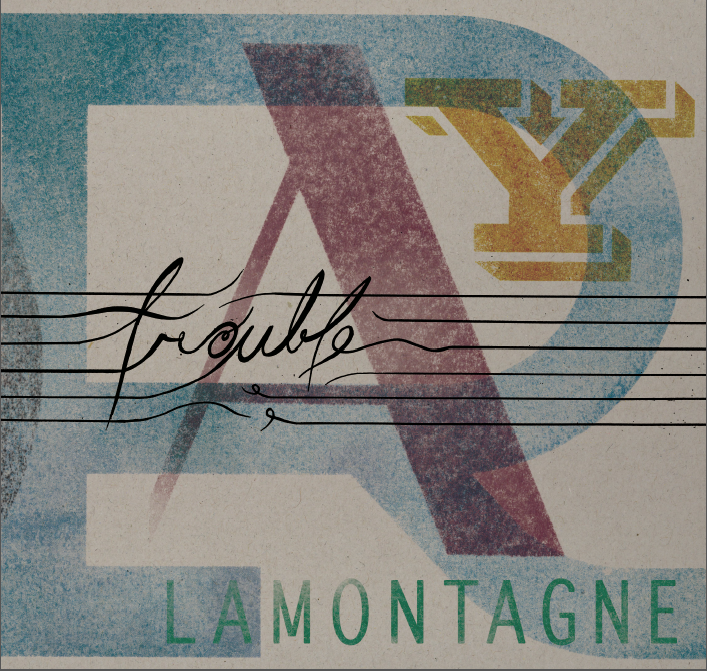 Ray LaMontagne’s voice throughtout the album ‘Trouble’ resonates and hypnotizes with his raspy and dry quality. The subject matter of this album idealizes falling in and out of love within the blunders of his journey. 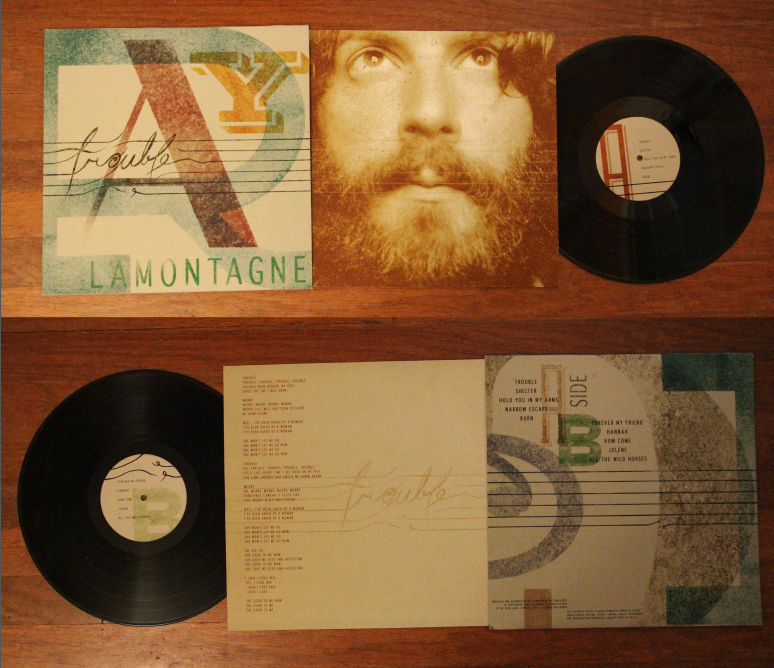 As Lamontagne says; “Life is so difficult, the thing about music is that you can take deep things that hurt you and turn them into something beautiful.” For me, this is becomes the focal point of this harsh yet evokative album. We relate and grasp onto his journey and make it our own. My concept highlights the idea of harsh and almost distressed sounds. 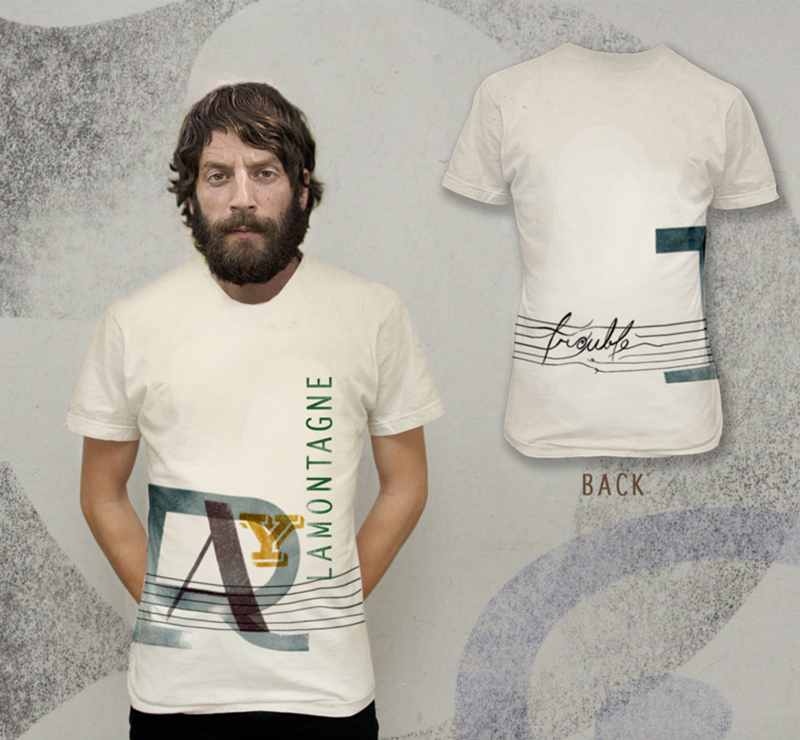 I also want to highlight the vintage quality and fashion statement Ray LaMontagne presents; he usually wears pork pie or bowler hats and vests and has a prominent beard. Trouble for me relates to a series of overlapping stories about his life (childhood) and how he moved to different places with his family. 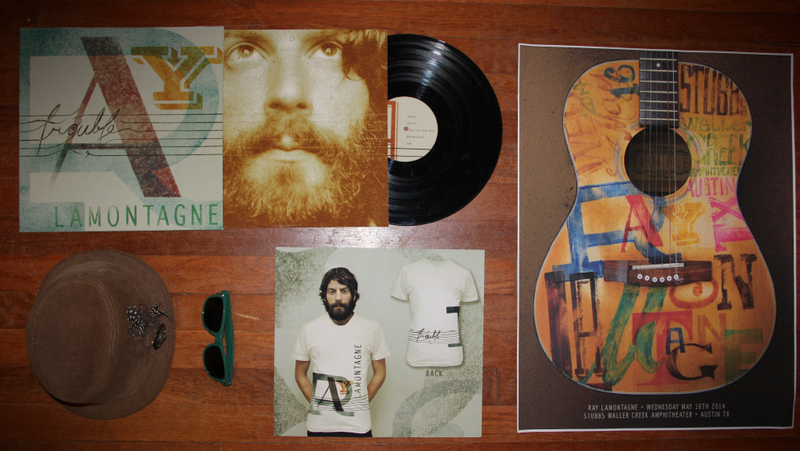 I feel woodtype posters have a very melancholic feeling that relate to Ray’s lyrics. 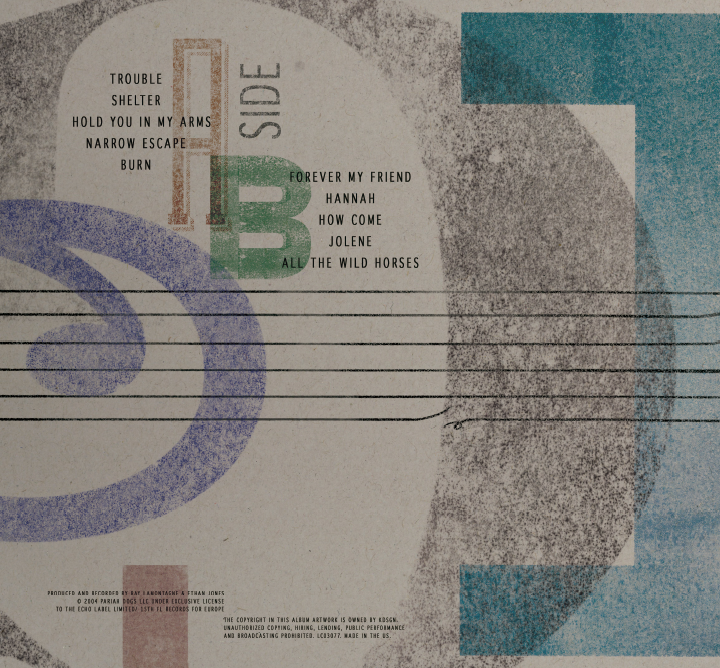 The idea of using vintage letterpress wood letters to have a distressed quality, overlap them and using different scales connects with the quality of his voice. Alongside the album possible applications of this overall style is presented to reverberate the folk quality he presents. 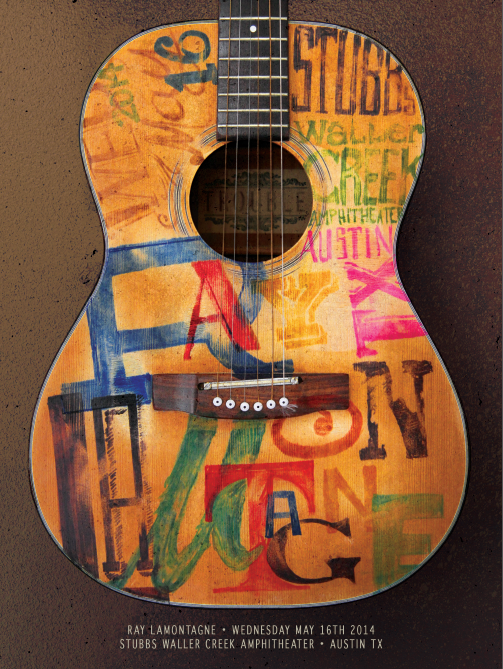 The poster is made by continuing the idea of overlap lettering but the surface changes to an actual acoustic guitar.